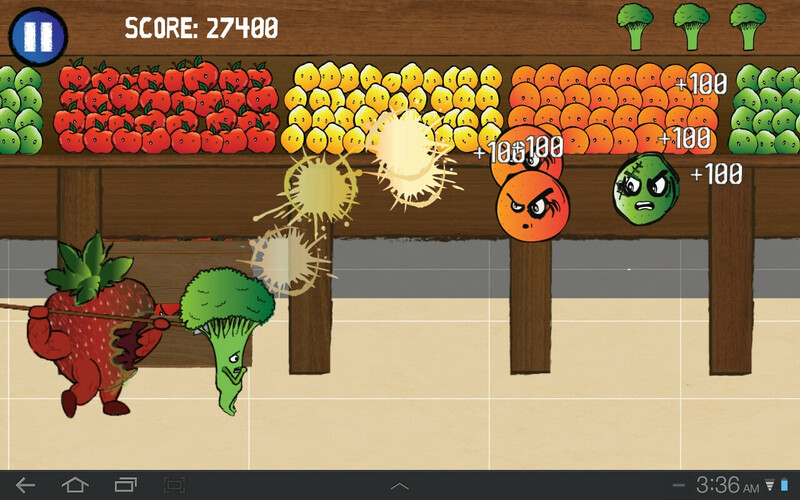 A piece of Brocolli falls out of a shopping cart in the wrong part of the grocery store! 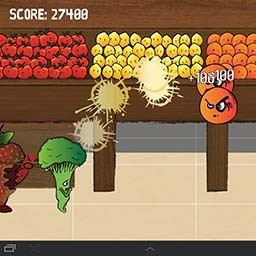 Tap and destroy fruit to defend against the oncoming fruit army! 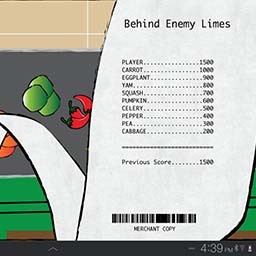 Behind Enemy Limes was created by a team of 4 developers for a class assignment. 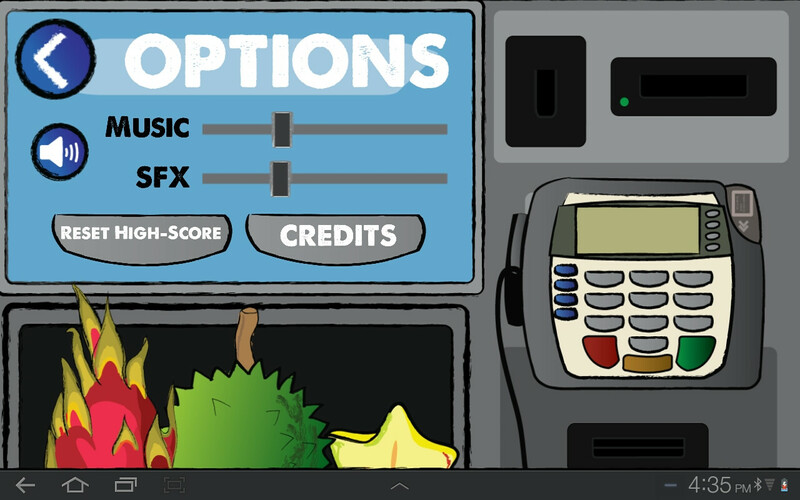 We drew themes for games out of a hat and went with "Erratic" and "Fruit". 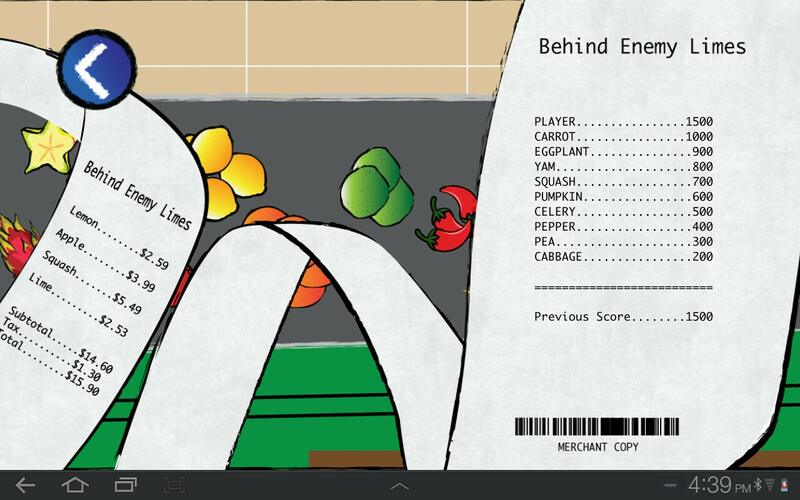 After about four months of work, Behind Enemy Limes was pushed to Google Play. 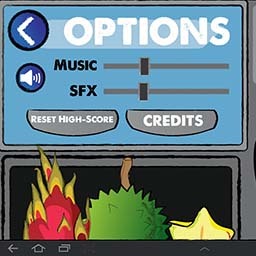 BEL was created using Unity with C# and Adobe Illustrator.